Many people understand that having a diet focused on clean, whole, organic foods will increase their health and well-being significantly. A good diet helps control your weight, provides the energy you need to thrive, and uses the nutrients in that food to fight against harmful toxins and diseases. What a large number of people aren’t as familiar with is to be truly happy, healthy, and whole in all aspects and to sincerely enjoy the life you live, there are six additional components that are just as important as nutrition. My book, How to Live Until You Die, provides an in-depth look at each of these critical areas (I call them The Seven Keys to Living Happy, Healthy, and Whole) and explains the importance and uniqueness of each. This information is imperative to anyone who is seeking a complete life, full of vitality and joy. When your mind, body, and spirit are all well-taken care of, you can really live a happy and abundant life. Get your SIMPLE SLEEP PLAN today! Sleep can provide tremendous physical and mental health benefits, rejuvenating your body and your mind. Brain health is just as important to your vitality as physical health. Two other areas of equal importance are your spirit and your soul. In How to Live Until You Die, I devote one chapter to each of these, explaining why your spirit and soul are critical to your overall well-being. Using positivity, prayer, and meditation can greatly reduce the impact of stress in your life. When you invest in the health of your spirit and soul you can live peacefully without anxiety and truly enjoy your happy, healthy, and whole life. To live a happy, healthy, and whole life until the day you die, make sure you balance the seven keys to living and keep your focus on establishing good habits in each area. For more tips on proper nutrition, building your own food and exercise plans, the importance of water, sleep, supplements, and effectively balancing your mind, body, spirit, and soul—get your copy of How to Live Until You Die today. Is Sleep Really That Important? The songs played on the radio today often glorify passing up sleep to participate in other activities, questioning sleep importance. You’ve probably even read stories about your favorite entrepreneurs pulling all-nighters in their quest to rise to the top of the business world. With all this emphasis on sacrificing sleep for other things, it may seem like sleep importance isn’t necessary—or that sleep could even be an obstacle—to achieve long-lived success. That couldn’t be further from the truth. The National Heart, Lung, and Blood Institute published an article in June of 2017 that emphasises the sleep importance and explains the benefits that the correct amount of sleep provides to all different parts of the body, as well as performance, brain function, and emotional well-being. The American Psychological Association, National Sleep Foundation, and Health.com all plead with their audiences not to dismiss the importance of sleep, and caution them against sleep deprivation and the negative effect it has on physical health, cognitive performance, and general mood. The American Psychological Association’s website states that more than 40% of adults routinely battle with daytime drowsiness that significantly impacts their performance and that the drowsiness is caused by improper sleep patterns. In the book How to Live Until You Die Dr. Phil Carson identifies sleep deficit as a performance killer, and explains how to avoid the consequences of sleep deprivation by getting good, quality sleep. Using his three guidelines for getting ideal sleep, he shows readers how to create their own sleep plan and overcome common obstacles that prohibit millions of people from getting proper sleep each night. Unless you’re Jack Bauer from the hit TV show 24, you need proper sleep in order to function to the best of your ability. To learn more about how to get the right amount of restful sleep, and to discover the seven keys to living happy, healthy, and whole, order your copy of How to Live Until You Die today. Check out Dr. Phil’s free resources to download his Simple Sleep Plan and more FREE resources! You can also check out more blogs about sleep! Episode 62: Is Your Evening Meal Affecting Your Sleep? On this feel good day, Dr. Phil shares how digestive issues used to affect his sleep and how he has since learned which foods are the best to eat in the evening before bed in order to ensure a restful sleep. [1:20] The past few episodes of the Feeling Good Podcast have discussed how to get more and better quality sleep. [1:36] We can all get better sleep if we eat better, especially if we eat the right kinds of foods in the evening. [3:01] Dr. Phil shares his experiences of how digestive issues used to affect his sleep. [4:37] Studies indicate that an unhealthy diet is associated with irregular sleep patterns. [5:41] What kinds of foods should you eat in the evening in order to get a restful sleep? [9:02] People who get less sleep often skip breakfast and snack more, which may lead to obesity and possibly diabetes. [10:00] The type of carbohydrates we eat at night affect our blood sugar. [10:27] This episode’s Feeling Good Superhero is a young lady named Dee. Dee realized that when she ate a big meal of pasta at night she wouldn’t sleep well. Dr. Phil told her that the simple carbs she was eating was spiking her sugar levels after she would go to sleep and then she would wake up and couldn’t get back to sleep. He suggested she stop eating pasta meals late at night and eat more complex carbs with protein. She put this advice into practice and it has helped her to get to sleep and stay asleep at night. [ 12:56] The greatest joys in life come not from you being lifted by others, but rather by others being lifted by you. [13:11] Dr. Phil thanks you for helping to spread the message of natural health and wellness by sharing the Feeling Good Podcast with your friends and family, and encouraging them to subscribe also. He wants to encourage you to go to iTunes and give the show a review there. For a limited time, if you will go and do that review, he will send you his new book, How to Live Until You Die: The 7 Keys to Living Happy Healthy and Whole, for free. [14:40] Dr. Phil has a free resource that can help you with stress in your life. Go to http://carsonnatural.com/stressrelief/ for a free stress assessment, plus his guide for Seven Tips for Stress Relief. [15:14] Have health questions? Visit carsonnatural.com & click on the ‘Ask Dr. Phil’ microphone to record your questions or email them to [email protected]. Are you too stressed to sleep? During the month of April, we have been focusing on sleep and ways to get more of it. Hopefully you have been following along and have implemented Dr. Phil’s Simple Sleep Plan! If not click here to find out more information! We hear a lot of people say they are too stressed to sleep. Stress is a real thing. We get it. We all experience stress in some way in our lives. It is what we do with that stress that makes the difference. Did you know that you can take that stress you are experiencing and turn it into a positive thing? The stressful situation you find yourself in can actually be a growing and learning experience in your life. We recently read a great article entitled, Harnessing the Upside of Stress by Harvard Health Publications Harvard Medical School. Check it out for yourself and see how you can harness the upside of stress. We particularly like the suggestion it gives to do something nice for someone else when you are experiencing high levels of stress at work or at home. Doing something kind for someone will immediately trigger a positive response in your brain, giving you a mental reward. Try it out for yourself and let us know how it works! If you’d like to hear more about this then you can also listen to the latest episode of The Feeling Good Podcast by clicking here! On this feel good day, Dr. Phil will help you to understand the underlying causes behind your sleep issues. He then shares practical and natural solutions to help you get quality, restorative sleep. [3:14] Many people would like to find a natural solution to help them to sleep better. [4:16] There are supplements and foods that can help you get better and more restful sleep. [4:58] It is important to try to understand the underlying cause of your sleep issues. [5:44] What is Tryptophan and how can it help promote restorative sleep? [6:31] How can calcium and magnesium affect your sleep? [8:20] Many people are using essential oils to help induce sleep in the evening. [9:04] Certain herbs can help you to address various underlying issues that are keeping you from sleeping, such as anxiety or depression. [11:35] Melatonin deficiency is one of the most common underlying causes of sleep problems. [14:00] Another major underlying cause of sleep problems is adrenal dysfunction; stress in our lives causes adrenal dysfunction. [16:15] How can phosphatidyl complex help bring cortisol levels down at night? [18:02] This episode’s Feeling Good Superhero is Jo, Dr. Phil’s friend and client who was dealing with some major sleep issues. 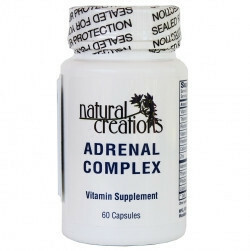 They did some adrenal testing on Jo and found out that her cortisol rhythm was off, so she tried phosphatidyl complex and it helped tremendously. Jo also had a melatonin deficiency and she added a melatonin supplement. We are so happy that Jo is now sleeping better due to taking these supplements and her efforts. [20:27] The greatest joys in life come not from you being lifted by others, but rather by others being lifted by you. [20:44] Remember to get your free documents to help with your sleep and stress at http://carsonnatural.com/stressrelief/. Episode 59: Why Can’t I Get Sleep? On this feel good day, Dr. Phil shares seven habits that will help you get a better night’s rest. [2:36] How well are you sleeping? [3:22] Dr. Phil is often asked how to get to sleep and how to stay asleep. [4:12] How can a regular bedtime and waketime help you to sleep better? [5:22] We can all get moderate exercise everyday. [5:56] Is dinner your largest meal of the day? How might that affect your sleep? [6:29] What foods should you avoid at night? [7:08] What environmental factors affect your sleep? [8:18] How can bright screens at night affect your ability to get to sleep? [9:11] Many people have their sleep disrupted by needing to use the restroom during the night. [10:10] How can your bed affect your sleep? [11:39] Find a free guide to help you sleep better at carsonnatural.com/helpmesleep. This guide includes the seven simple habits and tips from the episode today and will help you to sleep even better. [12:10] Check out Dr. Phil’s book, How to Live Until You Die, for information on sleeping better and much more. [12:39] This episode’s Feeling Good Superhero is Sue. Sue came to Dr. Phil because she was struggling with sleeping. She was exhausted and struggling with her health because she couldn’t sleep. Dr. Phil helped her to discover that the underlying cause of disrupting her sleep was stress in her life and it was causing a hormonal imbalance. However, she implemented some strategies Dr. Phil suggested and it completely changed her sleeping habits and patterns. [14:58] The greatest joys in life come not from you being lifted by others, but rather by others being lifted by you.